News: Presenting the new A. Lange & Söhne 1815 Rattrapante Perpetual Calendar Handwerkskunst. A 20-Piece Limited Edition. First launched at the SIHH 2013 and awarded two prizes at the Grand Prix d'Horlogerie de Genève the same year —not only it received the Grande Complication Prize but also the Public Prize—, the A. Lange & Söhne 1815 Rattrapante Perpetual Calendar which we reviewed here, just got even better, if that is even possible at all. The new A. Lange & Söhne 1815 Rattrapante Perpetual Calendar Handwerkskunst just unveiled in Florence, Italy demonstrates how artisanal virtuosity becomes truly grand art. 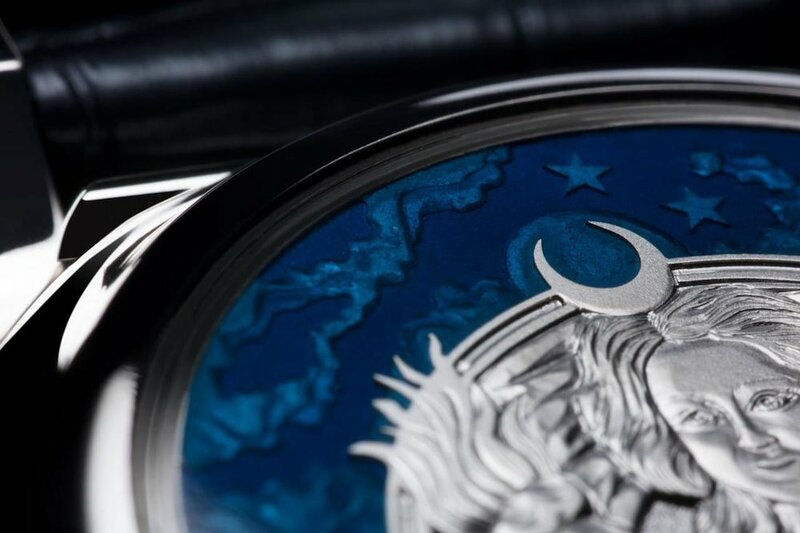 The dial and the hinged back cover of the new A. Lange & Söhne 1815 Rattrapante Perpetual Calendar Handwerkskunst consists of blue enameled white gold with elaborate relief engravings. Ennobled with special decorative techniques, the movement stands out with the rare and fascinating combination of a split-seconds chronograph and a perpetual calendar with a moon phase display. This remarkable timekeeping instrument was the ideal starting point for a limited 20-piece 'handwerkskunst' —craftsmanship— edition. This new watch becomes the sixth A. Lange & Söhne model under the 'handwerkskunst' series that are known to feature a particularly artistic decoration of the movement, dial and case. The new A. Lange & Söhne 1815 Rattrapante Perpetual Calendar Handwerkskunst is fitted with a white gold case measuring 41.9mm in diameter and 14.7mm in thickness and with a half-hunter case back that features a gorgeous engraving and enameling of the goddess 'Luna' —moon. Overall, this sixth piece in Lange's 'Handwerkskunst' series is simply gorgeous and one that we can wait to review in the metal. 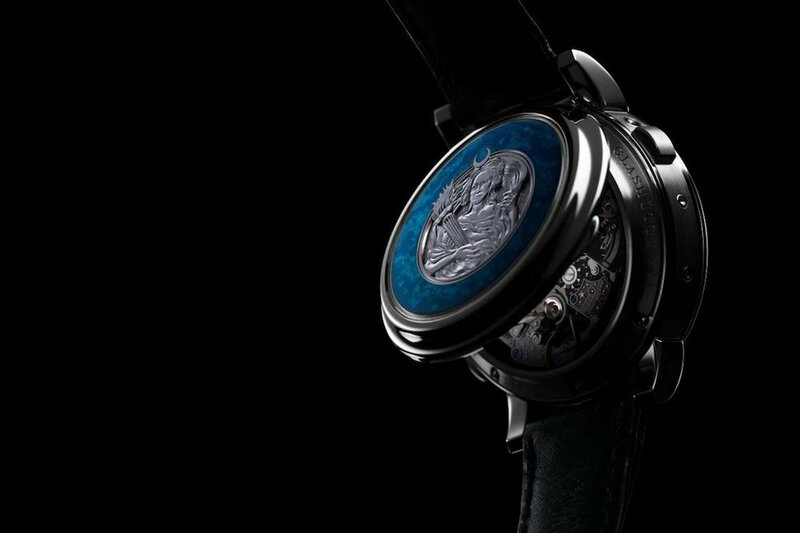 The watch is available in a highly-exclusive limited edition of only 20 pieces. Posted on September 18, 2017 by Editor & Publisher and filed under A Lange Sohne, News and tagged A. Lange & Söhne 1815 Rattrapante Perpetual Calendar Handwerkskunst A. Lange & Sohne Mainstream Brands Perpetual Calendars Rattrapante Split Seconds Chronographs Grand Complications 2017.